Philadelphia’s second casino license should have gone to a site in Center City, not the sports complex in South Philly, but it probably shouldn’t have been awarded at all. The casino will have a tough row to hoe, and neighbors fearing mayhem will probably have very little to worry about. So it’s all over now but the shouting. Those are just beginning, and there will be a bunch of them. From the bidders who didn’t get Philadelphia’s second casino license, the last to be awarded in the state. From at least one of the existing casinos that fear the winner will eat into their business. From upset residents of the Whitman neighborhood, who fear their corner of South Philadelphia will be overrun with casino traffic. But what if the neighbors’ fears are misplaced? Suppose they build a casino and nobody comes? It probably won’t be that dire if and when the Live! Casino opens, but it seems that there is one question that very few people with a stake in the outcome of the Pennsylvania Gaming Control Board’s deliberations asked: Does the region really need another casino at all? I ask this question not for social or moral reasons, but for economic ones. Back in the 1970s, when New Jersey voters approved casinos in Atlantic City, there was only one other state in the country where one could gamble legally, and it was a big deal to travel to Nevada. Now, gambling is thoroughly integrated into the economic fabric of much of the country, and nowhere is this more true than here in the Northeast Corridor. And on top of this, soon you may be able to gamble over your beer at a pub near you, as Pennsylvania passed a law last year permitting small games of chance in licensed taverns. When we make it so easy for fools to part with their money, why should we expect them to travel farther than they need? That’s certainly the message we should be getting from Atlantic City, where the casino business is in free fall. And the troubles aren’t limited to that casino resort destination: The Foxwoods casino in Connecticut, the harbinger of what was to come, has defaulted on its debt twice now, and slot revenues at Connecticut’s two tribal casinos have dropped 31 percent over the last year. In other words, the numbers don’t add up. There are already four casinos in this area, and three of them are seeing their profits shrink. Once the novelty wears off, so will the fourth – and so will this one. But the PGCB obviously disagrees, as do the bidders who lost the competition for the second license. It leads me to ask: Was the South Philly stadium district the right place to put this last casino? I don’t think so. It’s isolated from other attractions and from mass transit. Contrary to past assertions made by a member of license-seeker Steve Wynn’s project team, people do use mass transit to get to their gambling fix. In AC’s heyday, there were plenty of buses full of low rollers tooling down the Atlantic City Expressway. People have been spotted crossing Delaware Avenue to get to Sugar House from the Route 15 trolley terminal, and the casino runs its own shuttles from Center City. Then there’s the Route 50 bus to Parx, which gets decent patronage. The transit-friendly Market8 and Provence sites in Center City would have led more patrons to take the train, reducing added car traffic, and their business plans both relied on exploiting the urban synergies their sites made possible. 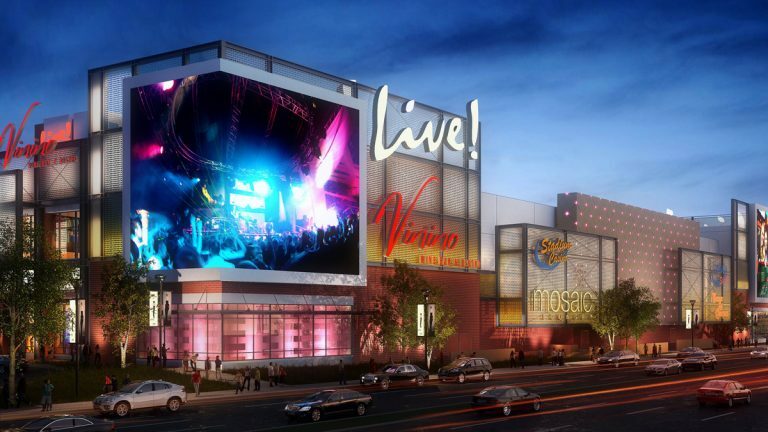 But maybe the logic that persuaded the Gaming Control Board to give the license to the Cordish/Greenwood joint venture is sound: People coming to watch the Eagles, Phillies, Flyers or Sixers might choose to make a night of it at Live! afterwards. It would certainly be something else for them to do while staying at the Holiday Inn that will become part of the casino complex, and their lingering a while might actually ease the traffic crunch on game days. But will the option be enough to make new gamblers out of those fans? If I were a betting man, I’d lay odds against Live! finding a huge new untapped market of hungry gamblers in the sports complex. To sustain themselves, Live! will almost certainly need to steal business from its competitors. The mayhem-fearing neighbors, on the other hand, might be in for a pleasant surprise. Journalist and essayist Sandy Smith is editor in chief of the Philly Living Blog at Noah Ostroff & Associates and writes frequently on transportation and urban matters for Next City and other publications.